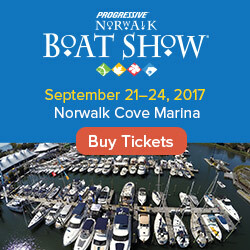 What's nice about the two boat shows happening in the US this weekend is that they are both free to attend. So if you live anywhere near Port Clinton, Ohio, or Cape May, New Jersey, check our boat show calendar for details on this weekend's free boat shows. Other events this week include the Poros Charter Yacht Show, which wraps up in Greece this Friday, and the Victoria Harbour Floating Boat Show in British Columbia, which goes through Sunday. And if you are a fan of the show Deadliest Catch, you won't want to miss their annual CatchCon this weekend in Seattle. Details for all, of course, are on the FirstBoat calendar. On the not too distant horizon is a unique brand of boat show coming to Mystic Seaport in southeastern Connecticut. The event, being called the Northeast Maritime Exhibition, will be held on May 14 to 16. Could you imagine a better place for a boat show than the world's largest maritime museum? You can "walk through history and find your future in sailing" - all in one location. You will have the opportunity to view and board beautiful yachts on the Mystic River while strolling through the picturesque Mystic Seaport. 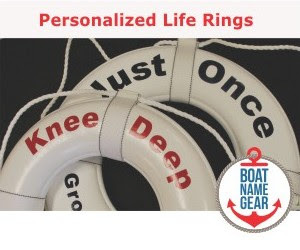 Join our friends from BoatNameGear and an array of nautical vendors on-site offering everything from the perfect, new GPS to the best foul weather gear. Be part of life raft deployment demonstrations, Discover Sailing trips, a special screening of the new film Madstreak (Clay Burkhalter’s film about his solo mini-transit race), and more. Be among the first boaters to learn about the cutting edge technology of marine electronics and charting for mobile devices all while enjoying the historic atmosphere of Mystic Seaport. For more information about the Northeast Maritime Exhibition visit windcheckmagazine.com. See you at the boat show!